Performer shows an empty pitcher. He places lid on it and covers it with a cloth. From a lighted cigarette, he blows three puffs of smoke at the covered pitcher. He then removes the cloth and lifts the lid from the pitcher. Clouds of smoke arise from it as if it had filled itself with the cigarette smoke which Magician blew toward it. 1 -- A glass pitcher with glass top—or a tall glass vase with top, Figure 10. 3 -- Small bottle of muriatic acid. 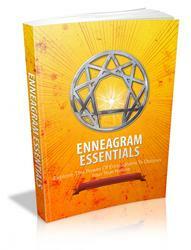 Be very careful in handling this acid as it is powerful and burns flesh and clothing. 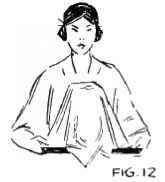 4 -- A square of silk or cotton cloth—plain or with Oriental pattern. 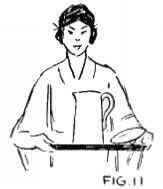 5 -- A tray on which to place pitcher, lid, and cloth. This is a chemical trick. Place a half teaspoonful of ammonia in the bottom of the pitcher. Have lid on tray and place a few drops of the muriatic acid on bottom of lid. Keep the lid away from pitcher for when the fumes of ammonia and of muriatic acid come together, smoke is produced. Experiment to get the proper amount of ammonia and acid for the size of pitcher or vase you are using. If you have an assistant, have him or her prepare pitcher and lid a few moments before you are ready for the experiment. Pick up pitcher and show it empty, then replace on tray. Pick up lid and cloth. Place cloth in front of pitcher as you cover it with top. Then continue to place cloth over entire pitcher. This is done to prevent spectators from seeing formation of smoke, Figure 12. 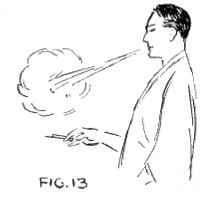 Light a cigarette and puff three times at covered pitcher, Figure 13. 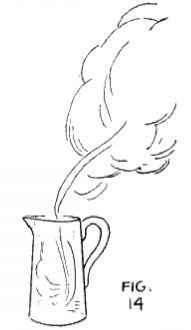 Now lift cloth from pitcher and show smoke to spectators. 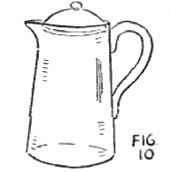 Lift lid and allow smoke to rise out of the pitcher, Figure 14.